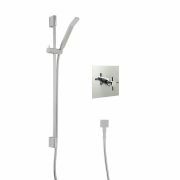 Add a touch of designer style to your bathroom with the Square thermostatic twin shower valve and 12” fixed shower head with wall mounted arm. 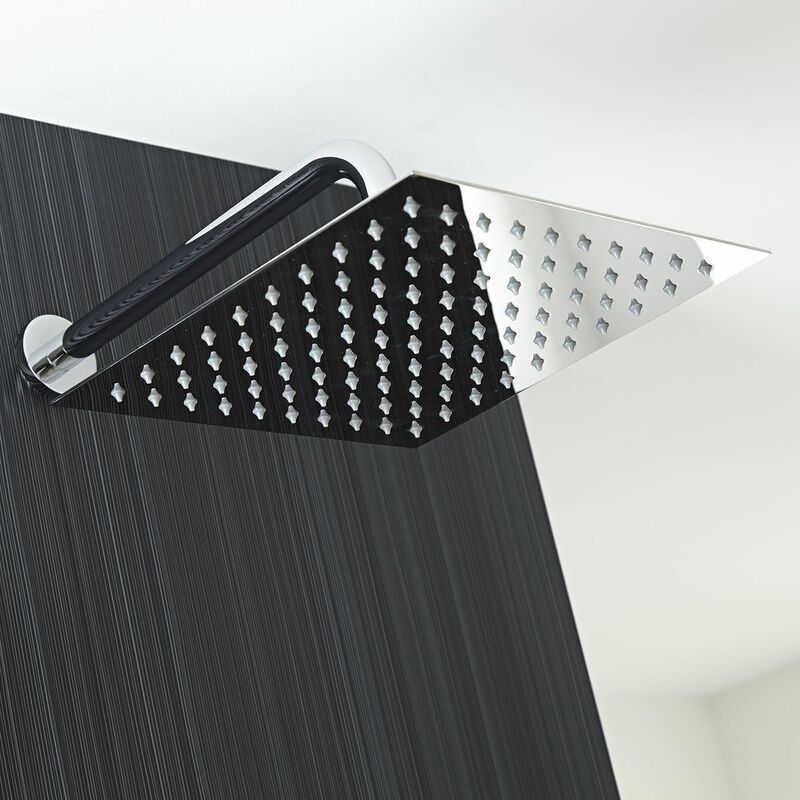 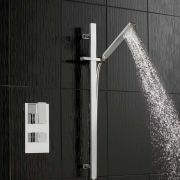 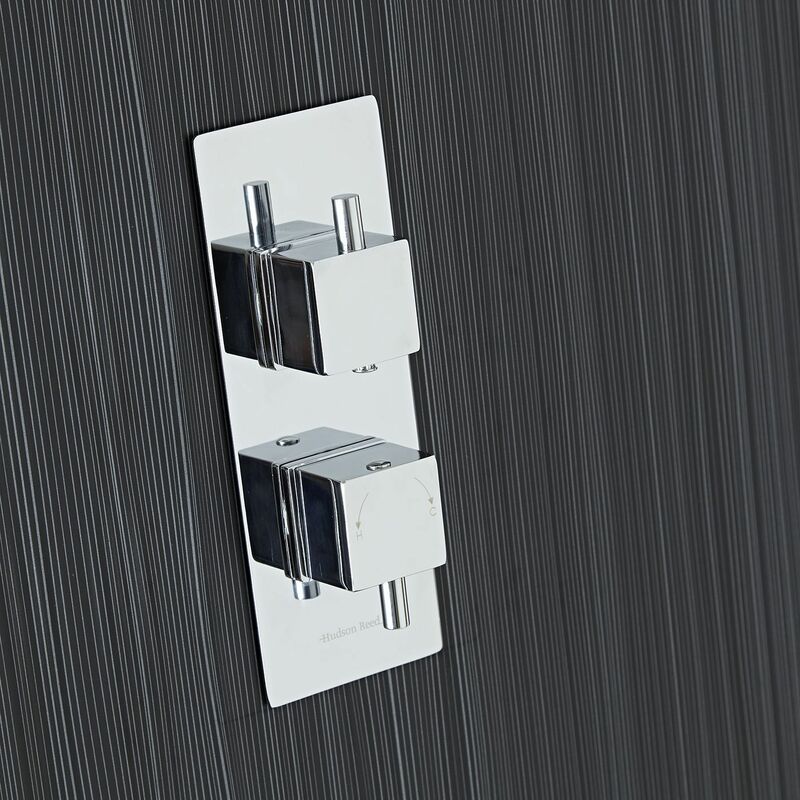 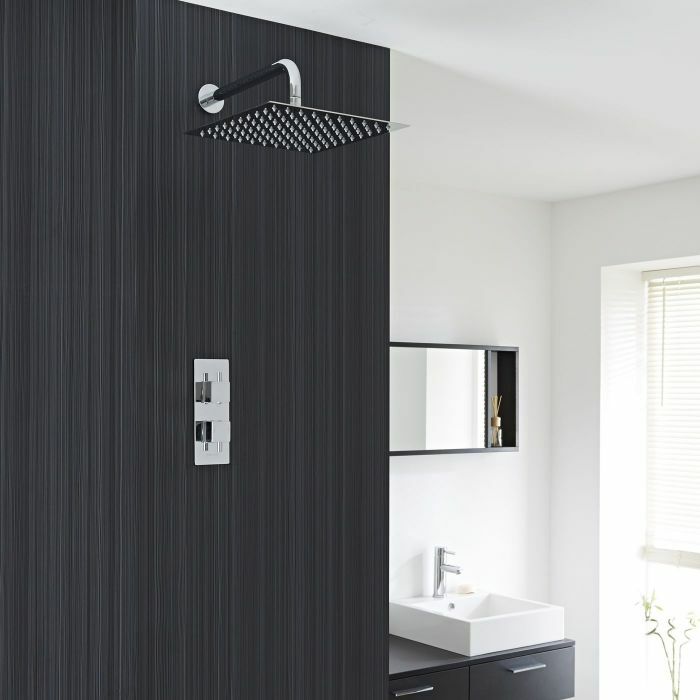 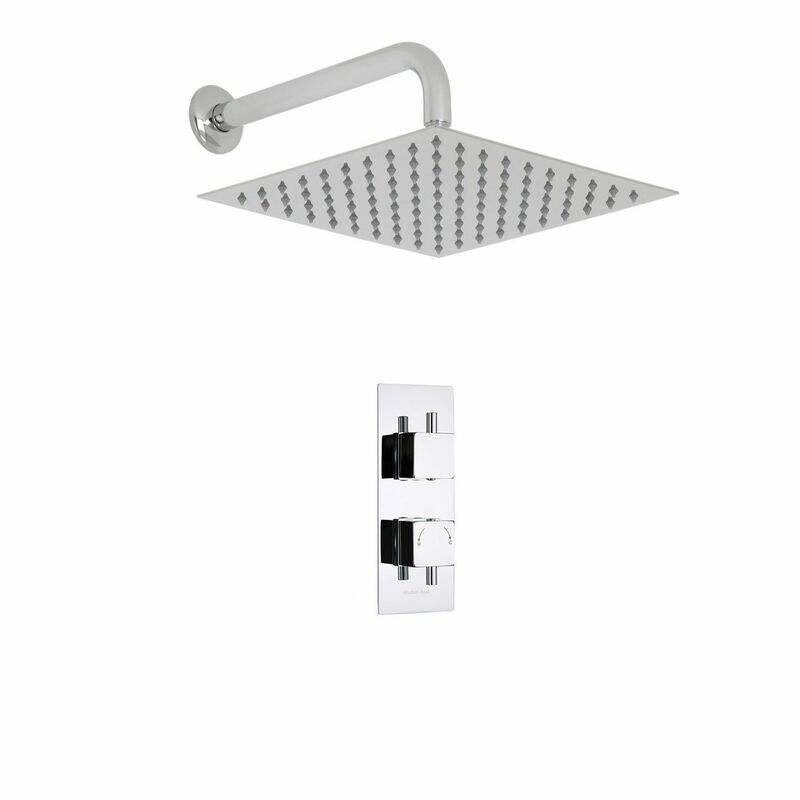 Made in Britain, the thermostatic shower valve supplies water at a pre-set maximum temperature. 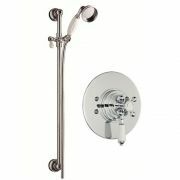 Incorporating ceramic disc technology for smoother control, the twin shower valve features a built-in anti-scald device to ensure a safer showering experience. 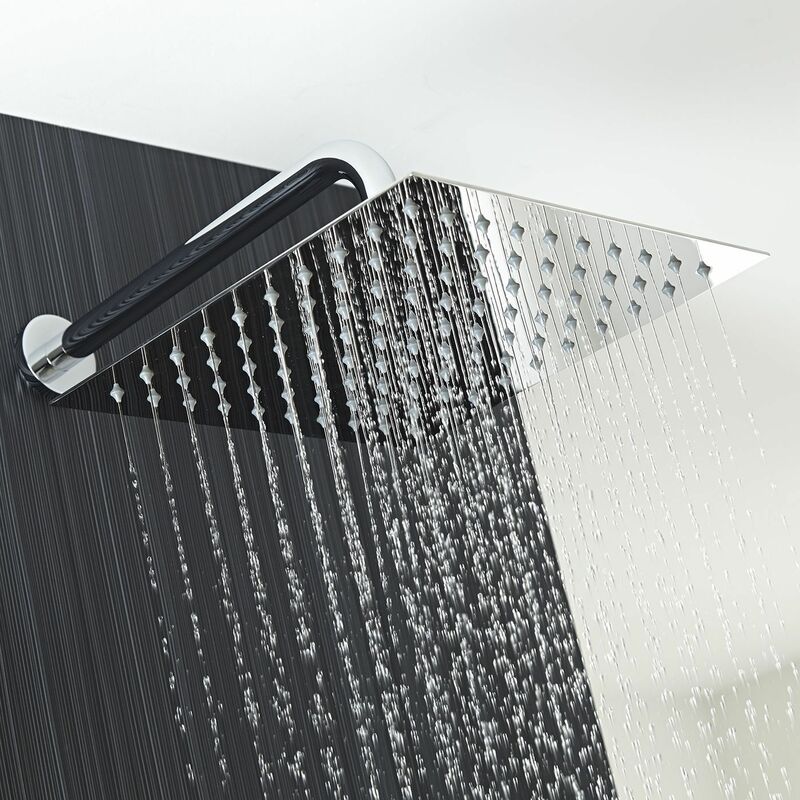 The 12” fixed head delivers a refreshing rainfall style effect to awaken your senses.